When it comes to hair extensions, there are many different types of hair used. Two of the largest categories of hair used in extensions are that of synthetic hair and human hair. Human hair can then be broken down further into hair that has been processed and that which has not. Unfortunately, there are many misconceptions in the hair extension industry as to what hair types fall into these two categories. One of the biggest misconceptions involves remy hair. Thinking that remy hair extensions are not processed is a common mistake that many people make. While remy hair is high quality, it still may be processed. The term for unprocessed human hair is “virgin hair” - a term that is not synonymous with “remy hair.” All “remy” means is that the hair is organized so that all the strands have their roots together and the cuticle is going the same way. This is important because it keeps the hair from tangling as much and makes the hair easier to care for. However, the hair may still have been processed. It may have been bleached, dyed, or even permed. In some cases, the hair may also come from different donors. Of course, non-remy hair can be (and usually is) processed as well. If you don’t know already, then you can probably guess what non-remy hair is. It’s hair that does not have all the strands running the same direction. This makes the hair cheaper, but it can cause tangles. To solve that problem, many companies strip the cuticle of the strands off in order to reduce friction. 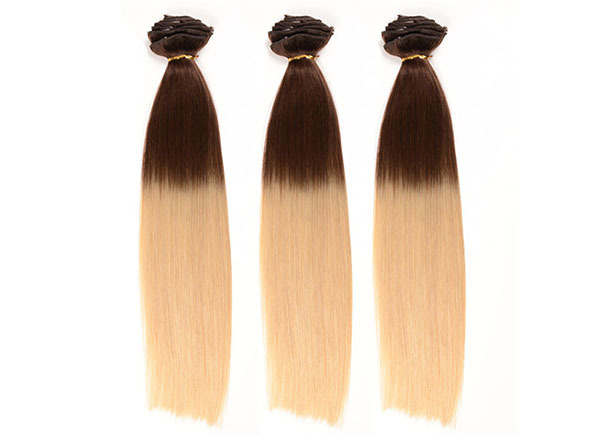 That treatment involves chemicals, and therefore makes most non-remy hair extensions fall under the category of “processed hair.” Even if this treatment is not done, a lot of non-remy hair is dyed, bleached, permed, or undergoes some other process to modify how it looks. So, while you can find non-remy hair that isn't processed, it’s highly unlikely. Depending on how the hair is treated, processed hair can be worth getting. If it’s 100% remy hair that has undergone processing, it’s the highest quality hair that you’ll find, with the exception of virgin hair. It is the highest quality colored hair out there, though. As for non-remy hair, though it may be more cost effective than the remy hair, it has probably had its cuticle stripped off. This means that, essentially, the hair is damaged. It won't last as long as remy hair and it won’t look as natural.